Aerial photo of compound, early 2006. Project Tiger construction site on the left. 2013: Refurbished many enclosures (new den boxes, painting). Added more trees to exhibit area. 2012: Much time and effort went into finally finishing Project Tiger! We also received a Healey foundation grant to redo the clinic entry, including new veterinary hospital style small cat recovery cages and storage cabinets. 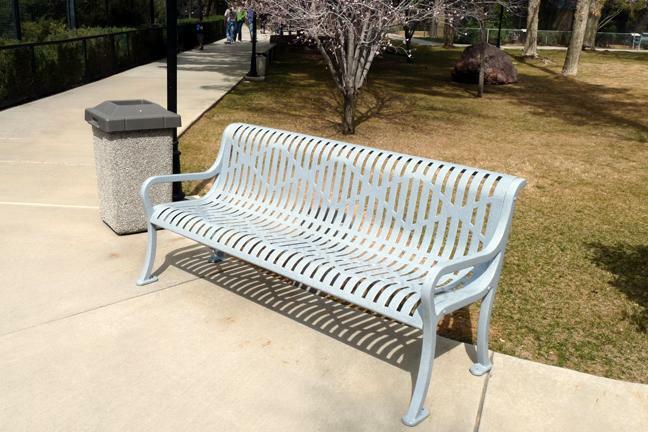 2011: Public Area Improvements: We have replaced our worn out benches, picnic tables, and trashcans with new commercial grade products. They look great and will last a long time. The following support was received to help us accomplish this goal: The Karlson Foundation $5000, Mary Marlowe $1600, Kim Blaquera $1000, Roxana Gerns $1000, Diamond Jim's Casino "in Memory of Bob Burgum" $2000. In addition, a very generous unrestricted donation of $25,000 was received from the Michael Piuze Foundation. With Michael's help, we were able to finally trim, shape and treat all of our trees in the exhibit and lawn area. This has never been done since they were planted back in 1995. We were also able to purchase all the steel needed to replace the chain link safety fencing in the exhibit area and put in new railing. Mary Marlowe also contributed to finishing the safety railing. We also used some of the Piuze money to install a new heating & air conditioning system in the gift shop. Our cages also continue to receive new shade tarps as quickly as we can get them custom built, thanks to a grant received previously from the Healey Foundation. Use this form to become a member and help support our efforts!